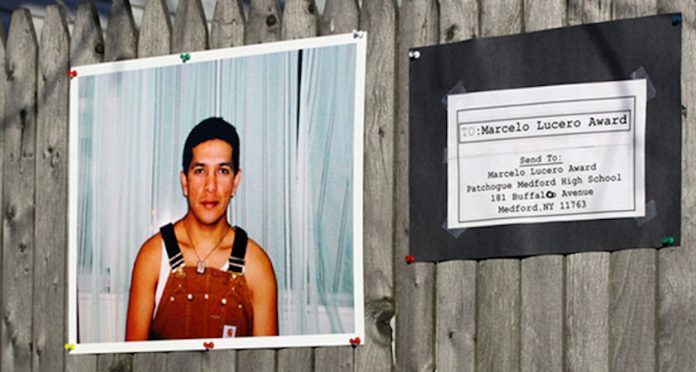 Nine years ago, Marcelo Lucero, an Ecuadoran immigrant, was attacked and killed in Patchogue by seven teenagers who engaged in a weekly sport of hunting down Latinos and attacking them. 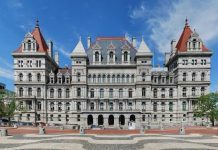 The attacks began when local politicians, led by then-Suffolk County Executive Steve Levy, tried to stir up white voters by rousing hatred against immigrants in Suffolk. Everything from traffic problems to rising (and falling) housing costs were blamed on Latinos, and they were depicted as dangerous “invaders” into whites-only communities. Politicians lit the fuse, and then tried to walk away when it exploded in blood. They used a language of hatred towards the people they marginalized and then claimed that they did not know why dozens of high school kids had attacked immigrants in central Suffolk for more than two years. Eighteen months ago, candidate Donald Trump visited Patchogue and spoke within sight of the place where Marcelo was stabbed. He did not come to honor the hard-working immigrant or to denounce racist violence, he was there to denounce immigrants and stir to a frenzy his nearly all-white audience with new words of hate. I stood that day in 2016 at the spot where I had seen Marcelo’s blood the day after he died, and I wondered why no one in Trump’s audience of seemingly ordinary Long Islanders stood up to object to turning a sacred site into a fundraising opportunity. I don’t wonder any more. I see too many Americans proud to unleash their bigotry under the approving eye of Trump. This morning, I received a note that Marcelo’s brother, Joselo Lucero, sent out to his friends. Last year, I saw Joselo at his brother’s memorial service, and he was filled with emotion. 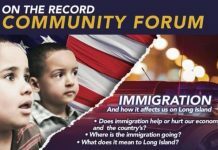 After his brother’s killing, many Long Islanders had taken a hard look at the racism that too many of their neighbors felt free to express and said “this must end.” At last year’s memorial, Joselo knew that the man who would soon be the president denounced any restraint on white supremacism as “political correctness.” Joselo saw hundreds of thousands of people in Nassau and Suffolk support that message. “What I ask of each one of you is that on November 8th and going forward, you share and remember the death of my brother, Marcelo Lucero, so that this never happens again here or anywhere else in the world. Send messages of peace, unity and much sympathy for the diversity of persons, without importance of color, race or religion.